Today’s garden sheds are multi-purpose. They can be used to store outdoor supplies, vehicles and even as an indoor workshop. Now if you are looking for sheds where you can store not only your supplies but also some outdoor toys, here are some tips that you can use. 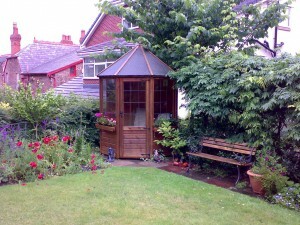 – Decide on the size first by listing all the items that you would like to store in your shed. – Decide on the exterior finish or you can paint it to complement your home. – Make sure you match the shape of your roof to the roof of the shed.